Thai national martial art is, naturally, Muay Thai. But how many really know the true Muay Thai beyond the thought of two big, muscular boxers furiously exchanging kicks as seen at the boxing camps or the famous stadiums such as the Lumpinee and the Rachadumneun? No one knows precisely when or how Muay Thai developed, as records go back only 700 years(while estimates of its age go back 2,000, originating in what is now China). Muay Thai started way back in the medieval ages when wars were fought with bows and arrows, swords, and pikes. And in hand-to-hand combat arms, legs, knees, and elbows were also used as weapons. Various forms of kickboxing have long been practiced throughout Southeast Asia. As with the most countries in the region,Thai culture is highly influenced by ancient civilizations within Southeast Asia. The origins of Muay Thai is unclear. One theory is that it was with the Tai people before the Tai immigration to Southeast Asia from China. Another is that it was adopted and modified off of Khmer martial arts when Thai culture was influenced by Khmer culture. A third theory is that a little bit of both the first and second theory occurred. Muay Thai evolved from its ancestor Muay Boran (“ancient boxing”), an unarmed combat used by Siamese soldiers in conjunction with Krabi Krabong, the weapon-based style. Muay Korat (Northeast) emphasized strength. A technique like “Throwing Buffalo Punch” was used. It could supposedly defeat a buffalo in one blow. Muay Lopburi (Center region) emphasized movements. Its strong points were straight and counter punches. Muay Chaiya (South) emphasized posture and defense, as well as elbows and knees. Because Ayutthaya’s archives and records were destroyed by the Burmese, the early history of muay boran and Thailand in general is difficult to establish. The country’s earliest inhabitants were Proto-Malays and Mon-Khmers, the former having relocated south to Malaysia about 2000 years ago. Muay boran is said to trace back to the first Tai-Kadai tribes to settle in Thailand. Exactly when they arrived and where they originated is disputed but increasing numbers of ethnic Thais made their way into Southeast Asia from southern China, Mongolia and Myanmar beginning in the 8th century. This culminated in a mass migration of Sino-Thais, called the Ao Lai, during the 1200s when Kublai Khan robbed and destroyed their capital of Namchao,Yunnan in south-central China. The Thais met with resistance from the indigenous Tibeto-Burmans in the north and Mon-Khmers in the south but somehow managed to displace, assimilate or co-opt them without force, most certainly because there were already Thai people living in the area. Aside from being heavily influenced by India and China, they probably adopted aspects of Khmer culture, which may include martial arts as well. This is evident in the word “boran” which is derived from the Khmer language. The Ao Lai are said to have practiced a fighting system now called muay chaiyuth but although some attempts have been made to recreate it, nothing conclusive is known about this extinct style. The Thais soon rebelled against the ruling Khmers and drove them, along with local Mon populations, out of Sayam (Siam). By the time they established the kingdom of Sukhothai, muay chaiyuth had evolved into another system called muay pahuyuth, which today is the oldest unarmed Thai martial art in existence. What is now known as muay boran was created after a series of attacks by Myanmar resulted in Ramathibodi moving the central government to the former Khmer stronghold of Ayutthaya. Warriors had to be adept at fighting both with and without weapons. The Thais themselves had always referred to their empty-handed combat styles as dhoi muay (a cognate of theMalay word tomoi) or just muay, a generic term for boxing or pugilism. The teaching of muay was kept up largely by Buddhistmonkswho were the keepers of all arts both practical and spiritual. Temples began holding fights during festive occasions. As every Thai male is expected to live as a monk at least once in his life, the art quickly grew in popularity throughoutIndochina to the point that any man worth his salt was said to practice it. Muay Chaiya – The original Muay Thai uses one’s wits more than brute strength, and ends up with injury sustained by both sides. Muay Chaiya, a style of Muay Thai, has clearly illustrates this fact. Muay Thai Chaiya, or as called by it’s full name as Pahuyuth Muay Thai Chaiya, translated to be the way of Thai fighting, hand to hand combat, Chaiya style, can hardly be seen now a days. But there is a place where Muay Chaiya is taught to interested public, so the heritage of the old and traditional Muay Thai, or Muay Boran, can be passed down. This is to keep alive a true Thai tradition, which most people have only seen in books or movies. Muay Thai Chaiya, not only utilizes fists, feet, knees, and elbows as we commonly see in the main stream Muay Thai, but also uses the forgotten elements of throwing, pressing, grabbling or clinching and joint breaking (Toom-Tup-Jub-Huk), they are no less dangerous than the throwing and joint locking of other martial arts. There are other sets of techniques with names that rhyme and contain deep meanings. They are to lure, to mislead, to elude, to avoid, to deceive, and to tease (Lor-Lork-Lop-Leek-Lorklor-Lorlen), or to hug, to squeeze, to swing the opponent from side to side, and to cast or throw the opponent down (Kod-Rad-Fad-Wieng). These are the techniques for inside fighting, that we no longer see in today’s Muay Thai. Even the way to fall, to get up, to roll on the ground, and to crawl (Lom-Look-Klook-Klan), which deal with proper way of rolling on the ground and falling so the practitioners wouldn’t get hurt. So, an exponent of the old and traditional Muay Thai, such as Muay Thai Chaiya, does not limit oneself to only one-dimensional fighting of stand up strike. If the fight takes one down to the ground, one still has to be able to fight effectively. 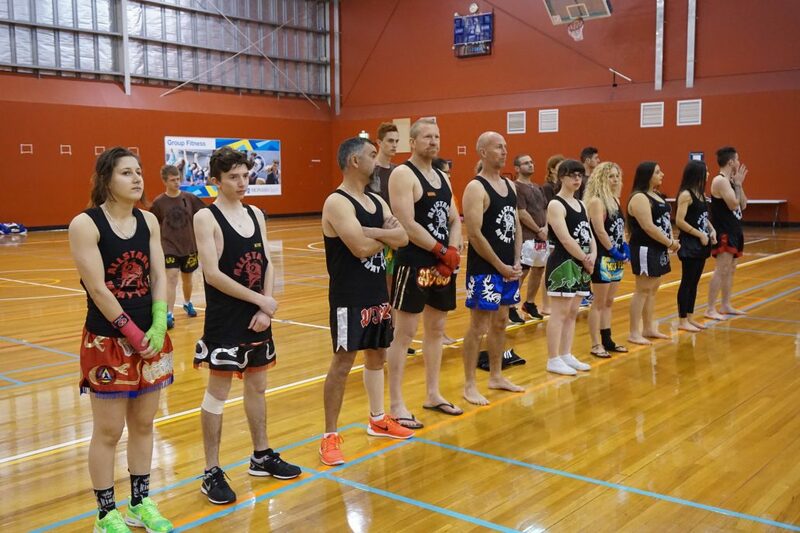 Since the old traditional Muay Thai was created for the engagement in battlefields, being able to engage with several opponents at the same time has made Muay Thai Chaiya so formidable. Muay Thai, known worldwide as “Thai Kick Boxing,” is the Kingdom’s national sport and one of the fastest growing martial arts in the world. Traditional muay Thai has a long history in Thailand as a martial art used by the military. While today’s “sport muay Thai” slightly varies from the original art and uses kicks and punches in a ring and with gloves similar to those used in boxing. Muay Thai is also known as ‘The Science of Eight Limbs’ as the hands, feet, elbows and knees are all used extensively in this art. There exists a Malaysian derivative of Muay Thai known as Tomoi that is practised primarily in northern Malaysia, in the states that share a border with Thailand. The ethnic Malays in southern Thailand also refer to muay Thai as Tomoi. But it is clear that it is the sport of kings, used, according to the Chiang Mai annals, in 1411, when King Sen Muajng Madied and his two sons literally fought to “the first blood” for the throne. 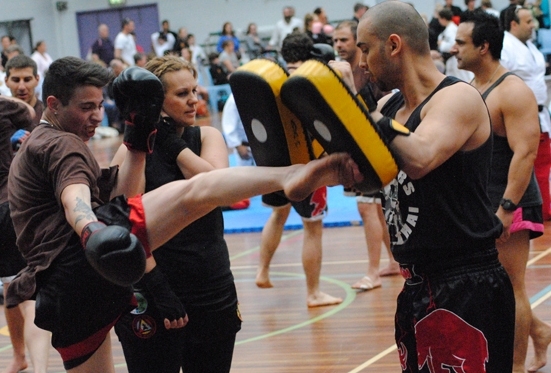 This sport which was included in military training , (the military style of muay Thai is called Lerdrit. Lerdrit (pronounced lerd-lit) is the military style of Muay Thai. Its principle is to get the opponent of balance fast in order to crush him with strikes in order to crush him with strikes from the hardest bone of the body or to knock him out with the hardest bone of the body. It was made famous by King Nareusan1560 A.D. During one of the many battles between Burma and Siam he was captured. The Burmese knew of his prowess as the best unarmed fighter in the realm and gave him a chance to fight with their best for his freedom. Upon his return to Siam he was hailed as a hero and Siamese-style boxing, as it was called then, was soon recognized as a national sport. Boxing in this style reached its zenith of popularity about two hundred years ago, i.e., in the reign of Prachao Sua (King Tiger), when it was indulged in by all classes of the population. Most remarkable of these was Phra Buddha Chao Sua, known as the “Tiger King“. The historical chronicles of theAyudhya period, which was a period of consecutive fighting against the neighboring countries of Burma, Cambodia and Vietnam, history records state that King Sri San Petch or Khun Luang Sorasak known as Phra Chao Sua (The Tiger King) often boxed incognito in various up-country temple fairs. He is said to have been a skilled boxer, and enjoyed the sport so much that he often disguised himself thus in order to test his skill against villagers and thus became quite a legend in his own time. When Ayudhya fell in 1767 A.D. many Thais became prisoners of War. In 1774 the King of Burma held a festival to celebrate the Chedi containing the Bhuddha’s relics in Rangoon, with various forms of entertainment and festivities. This included a boxing display for the King by a Boxer named “Nai Khanom Tom” a prisoner of war from Ayudhya. Pit against Burmese boxers, Nai Khanom Tom defeated 10 Burmese opponents in a row, and also became quite a legend. During the reign of King Tak Sin the Great, the King had a close aid-de-amp named “Phraya Pihai Dab Hak” who had studied the art of Muay Thai with many famous teachers and displayed his talent for the King. As a result, he was chosen to become a soldier, and was later promoted to the position of Chao Muang (governor) with his name recorded in history. In 1788, during the reign of King Rama I, two french brothers arrived in Thailand by boat, having defeated many boxers across the Indo-China Penninsula. King Rama I consulted the Crown Prince, his brother, who offered to find boxers to fight against the Frenchmen. Phraya Phra Klang would accept the challenge, settling the bet at 50 chang (4,000 bhat). The Crown Prince chose a boxer named Muen Plan of the Royal Guards. The match was held in the grounds of the Grand Palace. Muen Plan wore full battle regalia–bare-chested, seeped in magic charms, cabalistic writing and oils to ensure invulnerability. When the fight began, the large French fighter tried to attack, aiming for the neck and collar-bone. Muen Plan defended himself with Muay Thai. The other Frenchman, seeing his brother making no progress became frustrated, and pushed Muen Plan’s back to stop him from backing away. Members of the Royal Guards saw this break of boxing etiquette and proceeded to help Muen Plan tackle the two Frenchmen until they had to be carried back to the boat. They set sail the next day, with no thought of ever challenging a Thai Boxer again. During the reign of King Rama V, In the era of Rama V, Muay Thai Boxing matches were held infront of his court and winners were granted military titles by the King. The Royal connection continues to this day. Muay Thai has changed. A hundred years ago, there were no timekeepers, no rounds (and thus no rest periods), no clearly defined divisions by weight, and boxers bound their lower arms and fists with cotton thread woven into a chain-like configuration, then dipped them in glue and finely-ground glass or grit. . Prayavadi Satayaruk, duke of Chaiya, sent Klong Yamnongthong to fight. His chosen technique was Suelakhang [Tiger drags the tail] to throw, strike and break all his opponents until he received the titel of “muen muay” (10,000 soldier*). Since that day, Chaiya has been recognized as the city of boxing and has passed down Muay Chaiya. During the reign of King Rama VI, Thai boxing matches became more widespread. Matches that used to be held in make-shift rings in any available courtyard became a standard raised ring surrounded by ropes. The first ring was built in 1921 at Suan Kularp field. Although standard rings were available, boxers still bound their hands with rope. Foreign boxers came to take on Thai boxers. An important free-style match took place between Young Harntalay and Chin Chang from China which attracted a huge crowd of spectators. The result was that Young Harntalay floored Ching Chang with a beautiful kick. In this period, they also had referees in the ring, and kept time by the clock. These innovations were probably adopted from abroad. Rope binding was needed until 1929 when boxing gloves took its place greatly reducing the death and serious injury rates. Earlier at the Lumpini Park Ring, a Filipino boxer gave an international style boxing exhibition with boxing gloves. Later, gloves were also used in student boxing matches called “Muay Farang”, and in professional international boxing between Thai and foreign boxers. This led the organizers of Thai-Style boxing to see that gloves are less dangerous than rope-binding, and decided that gloves should be adopted in Muay Thai, but fighting with elbows, knees, feet and fists would still be allowed. During the reign of King Rama VII, in the revolutionary period, permanent boxing stadiums were established both in Bangkok and in the provinces. They gradually disappeared in 1942 during World War II. After the war, boxing stadiums sprang up like mushrooms overnight. Skilled boxers from up-country flocked to Bangkok to take part in tournaments. Finally the first standard boxing stadium was established–the Rajdamnern Stadium, in 1945. Rules were set, and later on regular bouts were set at 5 rounds of 3 minutes each, with a two-minute interval between rounds. The weight was taken down in stones like race-horses, and later converted into kilograms. Muay Thai is an ancient art of self defense, and it is believed that many of the deadlier forms of this art have been lost over the centuries, as each teacher or “Archarn Muay” has been said to have kept the highest forms to himself to prevent his students from disobedience. Unlike other martial arts, Muay Thai has musical accompaniment which consists of a drum or “Krong”, small brass cymbals called “Ching Chup” and a Thai clarinet commonly called “ Pee.” At the beginning of each fight the contenders dance to the rhythm of the music around the ring to pay homage to their respective Archarn or Kru Muay (teacher), usually for five to ten minutes. Muay Thai fighters are incredibly superstitious, fighters often place a leaf under their tongue before a fight. This is suppose to protect the fighter from blows and heavy kicks. Another good luck charm is a arm band called Kruang Rang, usually a piece of braid or cord. Underneath is concealed a miniature figure of the buddha, indicating he fights with them during the bout. Before the fight begins every fighter performs a ritualistic dance to music called a Ram Muay (boxing dance) or Wai Kru(respects to the teacher). No fighter would ever consider beginning a bout without first performing the Ram Muay. Every training camp – and there are about 800 plus of these in Thailand – has its own dance. All of this is suppose to instill fear into the opponent, while building up the performers confidence. Sometimes the Wai Kru are brief and basic, but other times they may be eloquent performances that draw praise and applause from the crowd. It is said that those who see well can determine who will win the fight by watching two fighters perform their Wai Kru. When the dance is finished the fighter walks to his corner bows his head before his teacher, who utters a short prayer for victory and then blows three times on the fighter’s forehead. This is known as the ‘breath of Buddha’. Most Thai’s are devout Therevada Buddhists. Monk Kon : This amulet is very obvious and I can say that Mong Kon is the most important for Muay Thai. The Thai word Mong Kon used to describe thing or situation that good and represent prosperity. In Muay Thai, Mong Kon is a kind of circlet wore on the head as a charm to bring prosperity and to protect wearer from danger. As the usage and custom of using and treat Mong Kon has already been mentioned earlier in Muay Thai equipment section. It can be said that Mong Kon has now become one of the most important Muay Thai equipment and boxer could not fight with confident without having Mong Kon on their forehead before the fight. Mongkol Mongkol is the Thai word, which used for describe something with a good bless or prosperous. In Muay Thai, Mongkol refers to a circlet that boxers wear on their fore head which they believe Mongkol will safe them and keep them free from danger. In the past, Mongkol was used as a formal outfit that boxers have to wear at all time during the fight, and never take it off until the fight is finished. However, at present time Mongkol is only some kind of amulets rather than the formal outfit and boxers do not have to wear Mongkol throughout the fight. They just wear Mongkol just before the fight, during Wai Kru Ram Muay ritual dance and take it off when fight begins. The tradition of wearing Mongkol in Muay Thai was from the ancient times when soldiers use holy frontlet wear on their forehead before go to the battle. Prajied : Prajied is a band of cloth, traditionally red and white worn around upper arm during competition. As same as Mong Kon the purpose of using Prajied is pretty much the same, to bring good luck to boxer, the only different between Mong Kon and Prajied is boxers are allowed to wear Prajied through the competition, but Mong Kon need to be taken out of the head before the fight begins. These types of amulet, Mong Kon and Prajied are only two obvious and still commonly used in modern Muay Thai, especially in Thailand. However, it is depends on individual boxers who may believe in these amulets and always used these amulets. Kickboxing started in the US during the 1970’s when American karate practitioners became frustrated with strict controls on martial arts competitions that didn’t allow full contact kicks and punches. Many questions were raised when the sport began about the high risk of injury. As a result, safety rules were improved and protective clothing was added. As this is a relatively new sport there are no long-term traditions. The sport has undergone changes and been refined during the last two decades. Competitors use in sparring, kicks, punches, kick blocks and shadow boxing. The Thai’s make great use of the shin, using it to strike an opponent’s head, body or supporting leg; a common tactic is to destroy an opponent’s mobility by kicking his thighs and lower legs, then move in with the knee, elbow and fists to finish the match. The shin is regarded as the Thai fighter’s major weapon of attack and destruction. Traditionally, the popular method for hardening the shin was the repeated kicking of the banana tree. Today, this training has transferred to a western style heavy bag filled with either sand or loose cloth or material. 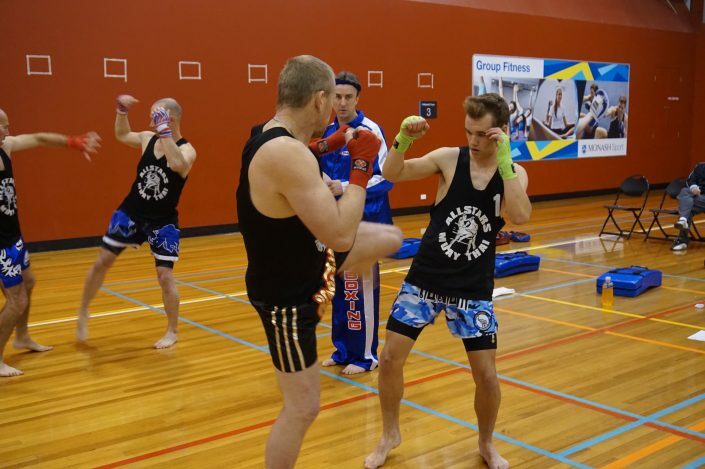 Within kickboxing there are various balances that need to be addressed. 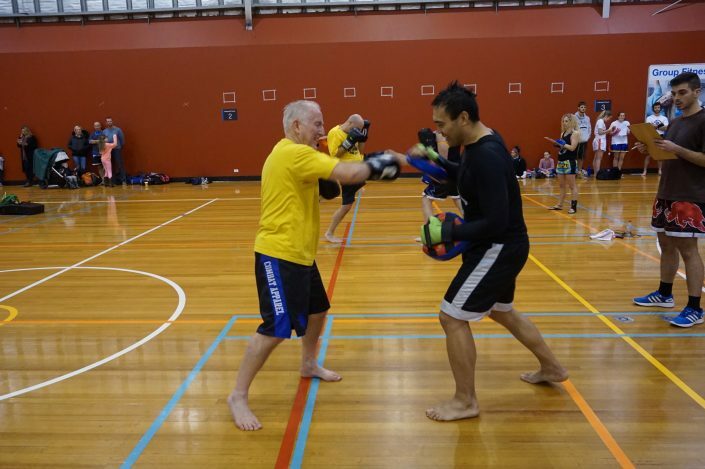 They are the hard and soft; hard being the devastating aggressive attacks seen in kickboxing with the shin kicks and elbows and knees combined with grappling. The soft being the checking, deflecting and trapping techniques used to soften the hard attacks. In addition to this we can analyse the use of these forces in relation to sparring, pad work and shadow sparring being the yin or softer, and what it develops. Shadow sparring develops fluidity, balance, movement and a sense of space, flowing the techniques together. Whereas sparring develops distance, timing and commitment to the technique, reading the reacting to certain responses found only in combat. Hopefully this adds a deeper meaning to the training associated with Thai boxing and how it too is a martial art that has traditions, an idealogy a methodology and philosophy. But to find this we must look deeper than just on the surface, we must look beneath the pages of its existance and dig to find the meaning of things and its purpose. Everything has a purpose and every purpose has a meaning, this much we know is true. Kyoshi Bob Jones was a student of Tino Ceberano,. In 1965 Bob trained under Jack Rezinsky for 12 months, and then in 1966 trained under Tino Ceberano receiving his Shodan rank from Tino 4 years later in 1970. Bob later left Tino to develop his own sytem called Zen Do Kai in the 1970’s. During this time Bob went to Thailand in the 80’s and brought back from Thailand the style of Muay Thai we train in today. Some of the most famous of Bobs students in kickboxing are the Lanciana brothers (Percy, Frank, Joey, Angelo), Paul Fyfield, George Zakaria, Nick Zakaria, Dave Hedgecock, Mick Hanify, Darren Hedgecock, Toscas Petridis. Rod Catterall began his Muay Thai training and attained much of his early learning from Bob Jones, Paul Fyfield, Sam Schillacahi, Percy and Frank Lanciana of the World Kickboxing Association. 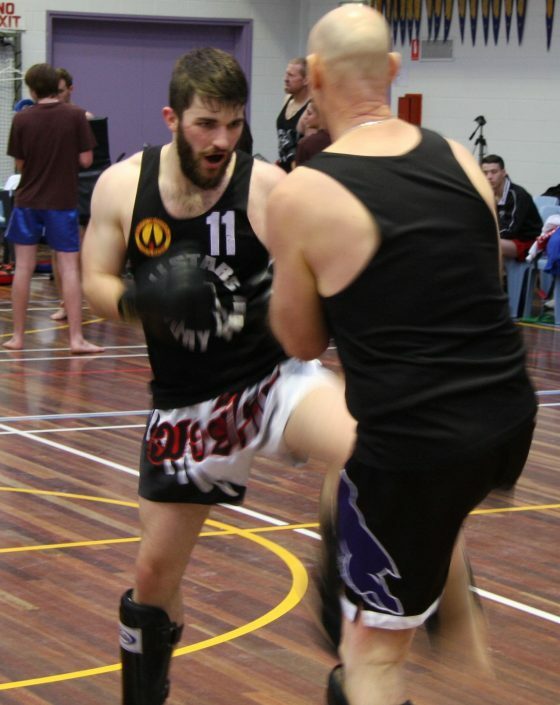 Rod has competed in various full contact kickboxing bouts and later retired undefeated after starting full time work. Around 1992 he and a very good friend Terry Tambakakis became fight promoters after reaching teachers levels in kickboxing, starting One on One Fite Promotions, putting on level 1 (Non Title Fights) to level 5 (World Title Fight) shows in Melbourne at (Sports and Entertainment Centre, Springvale Town Hall), Country Victoria, (Shepparton Sports Stadium). In 2007 Rod made a trip over to Thailand to the home of Thai Boxing, where by chance he came across at his hotel Kry Nok a previous Thai Boxing Champion who introduced him to the school of Thai Pinyo – Thai Boxing in Koh Samui Thailand. Under the instruction of two of the schools most respected teachers Mr Kin and Mr Jun both Thai Boxing Champions with around 300 fights between them, Rod trained extensively with each of the teachers learming everything he could during his stay from, Thai pad drills, grappling, ring craft, Thai massage and Thai meditation to some of the schools trademark techniques used in the ring. Since that time Rod has sent many other student back to Thailand and to the school of Thai Pinyo who have also enjoyed there time and experience immensley. During Rod’s studies of Thai Boxing it has also taken him to research more about the other side of Thai Boxing, the combative side of Muay Thai Boran – meaning “Ancient Thai Boxing”.